I just got back from a profound and excruciating 10-day silent retreat hosted by the Dhamma organization, which offers free courses in the vipassana meditation technique, all around the world. For those seeking enlightenment, you must be willing to follow all sorts of strict rules (meditation for the better part of 4:30am – 9:00pm with no talking, no reading or journaling, no eye contact or physical contact with others, no dinner, no eating meat, no “sensual entertainment,” etc). It’s basically Buddhist bootcamp. We all know that hikers are voracious animals. Well, at vipassana meditation retreats, the management feeds you only two meals a day (apparently, hunger helps you to meditate). So, needless to say, you spend a lot of time fantasizing about food. Sounds like a long distance hike, right? 2. You go inwards and remove yourself from society. 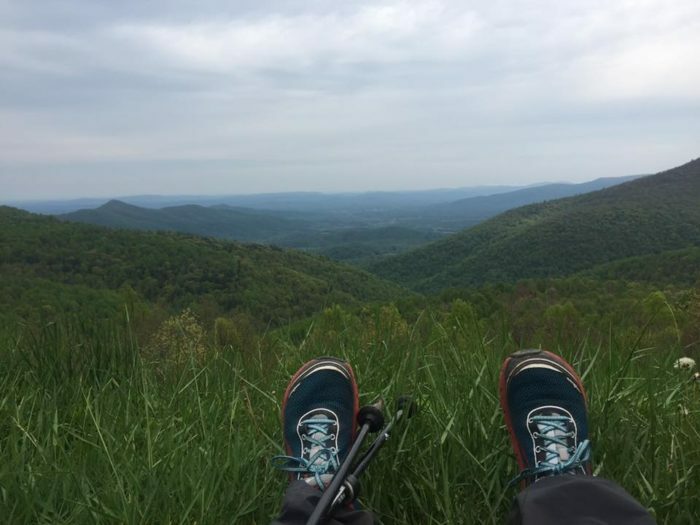 On my solo “pilgrimage” of the AT last year, for which I shaved my head and got all monk-like, I hardly talked to anyone all day. But even if your hike is more social than mine was, you are fully immersed in the reality of a very small subculture AND most likely stuck in your head all day. Meditation retreats are no different. 3. You are constantly uncomfortable or in pain. The whole point of meditation is to simply notice both positive and negative sensations that arise in your body without reacting to them (i.e. changing positions; scratching an itch; etc). This apparently teaches you to accept the impermanence of both good and bad things in your day-to-day life, so you don’t get overly attached to anything. Similarly, on a long distance hike your body is constantly aggravated, yet you must simply accept it without dwelling on it and push through the pain to reach your final goal. 4. Impermanence is the law of nature. Both hikers and meditators learn that accepting impermanence is the key to happiness. This is true in general but especially on a through-hike, during which you could fall on your face or break your trekking poles (or your foot) or get hailed on at any moment. Plus, the fact that you have very few possessions and are constantly moving through nature is a very liberating experience for most. 5. You have willingly chosen self-deprivation. You understand the power of discipline. You know that you’re going to be so much more of a badass if you actually go through with the whole thing because it’s so freakin’ hard. 6. Your family and friends think you’re crazy. 7. It’s an emotional roller coaster. On both long distance hikes and meditation retreats, your highs and your lows are magnified because there are no distractions to take your mind off the present moment. 8. You wake up at the a$$ crack of dawn (or earlier). The vipassana people are serious about their 4am wake-up calls. Meditation begins at 4:30am and lasts (on and off) until 9pm every night. Through-hikers are almost as crazy. On my AT hike, I started hiking by 6am every day, and sometimes kept on chuggin’ until after dark. There were also those days I woke up at 1 or 2am and hiked until I collapsed into a nap. After which I would hike some more. Overachievers reach the finish line, whether it’s enlightenment or the end of the trail. 10. You see the world through fresh eyes afterwards. There’s no denying that self-deprivation and extremely hard work help you realize a lot about yourself, the world around you and how you fit into that world. After both a through-hike AND ten days of constant meditation, it’s basically impossible to NOT feel that you have gained an elevated understanding of some stuff. At least temporarily. During a meditation retreat, you have to listen to hours of creepy pre-recorded chanting. During a meditation retreat, you are mostly indoors. During a meditation retreat, you are mostly sitting. 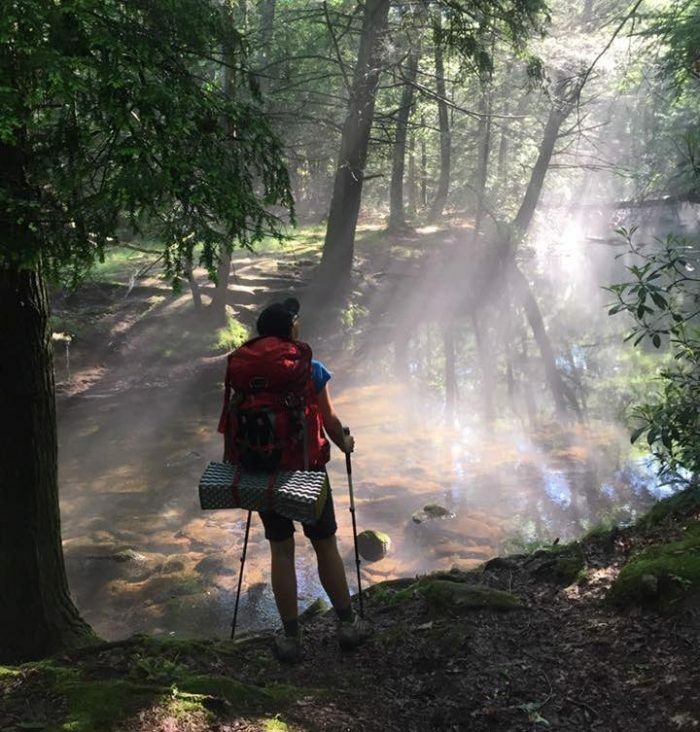 Bottom line: if you’re into personal growth and overcoming extreme challenges, both a long distance hike and a meditation retreat are worth trying at some point in your life. However, after experiencing both, I’d choose a hike any day! Healthy human relationships begin with reconnecting to nature.